That particular and exciting moment has come round again – the day when the first complete copy of a new book arrives from the binder. Has it worked? Are the pages in the correct order? Do all the colours, carefully compared from swatches of cloth and papers, harmonize as we hoped they would? 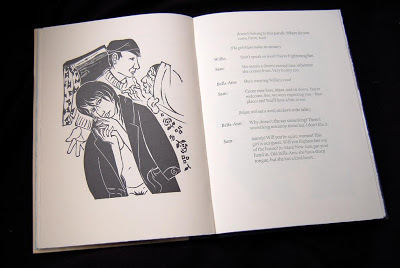 Does the book ‘sing’? I am happy that, on this occasion, the answers to these questions are very positive, so I am very pleased to share some photographs which will give an idea of what the book looks like while the rest of the edition is being bound. 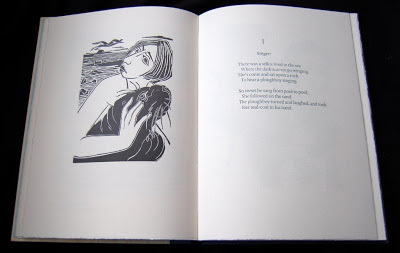 Eighteen years ago we celebrated the seventieth birthday of George Mackay Brown by publishing In the Margins of a Shakespeare. 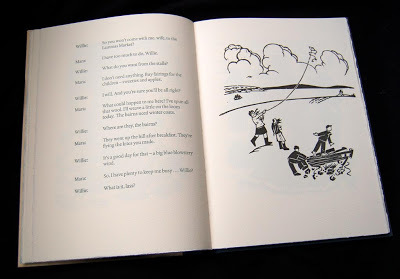 This lovely book has long been out of print (as is our first venture with George, Keepers of the House) – but we are now able, with the enthusiastic help of his literary executors, to undertake a third venture. This is a ‘play for voices’ written in 1984 and, we think, given a single performance then, before going back, metaphorically (and probably literally! ), into the drawer in the poet’s kitchen table where it remained, unpublished, until after his death. There are many stories and legends of selkies – the seals that surround the shores of Orkney – their deep brown eyes that captivate humans, their singing that mesmerises. 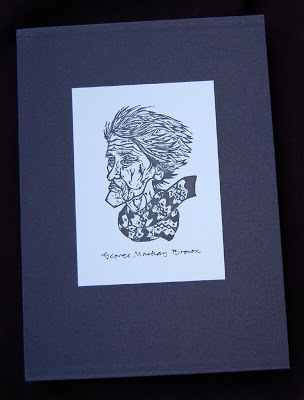 George Mackay Brown had written stories of them. Quite separately, we had met an American artist, Michael Onken, and had learned that he came regularly to Scotland to draw and paint. He had developed a passion for the writing of GMB and . 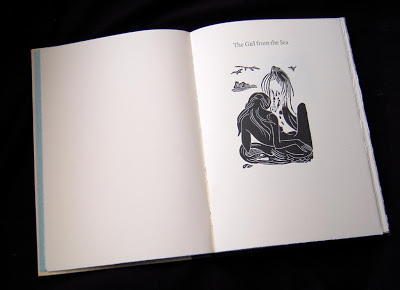 . . for selkies, which he drew while on Orkney. 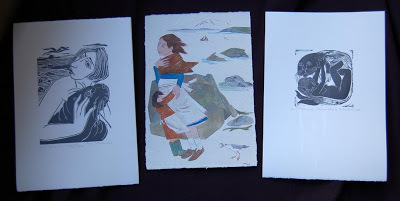 In a ‘long shot’ bid to link two disparate strands, we asked the literary executors if by any chance there might be any unpublished writing about selkies. 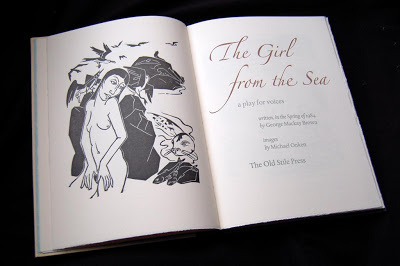 You will be able to sense our disbelieving delight when the typescript was offered to us for The Girl from the Sea. It is a simply told but very moving play involving a young man, his elderly parents and the arrival of a beautiful girl in their midst . 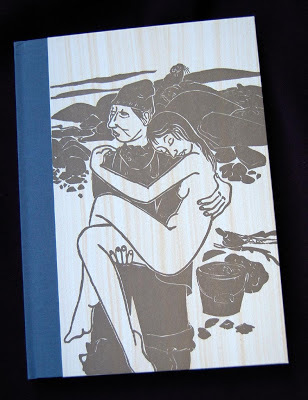 . .
Michael Onken has indulged his love of representing the antics of seals in the water, extending over several page openings at the start and end of the book but has also cut wood and lino to tell the actual story with imagery which captures the isolation of a croft on Orkney. 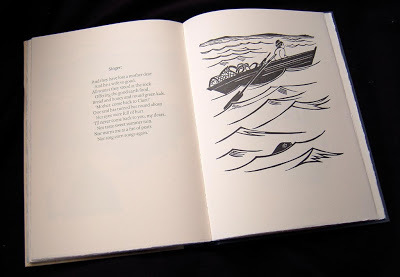 ‘Go on for a long time making beautiful books’. Here, many years after his death, we hope we have carried out his wish! 330 x 230mm. 56pp. The paper is Vélin Arches. 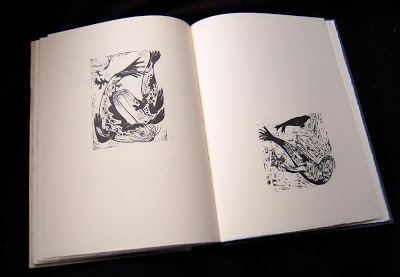 27 images printed directly from wood engraved, woodcut and lino cut blocks. Type is Albertina. The binding is by The Fine Book Bindery, Wellingborough. All are numbered and signed by the artist. 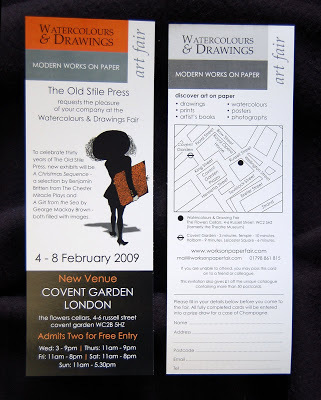 The book will be on show for the first time at this Fair in an exciting new venue in London.